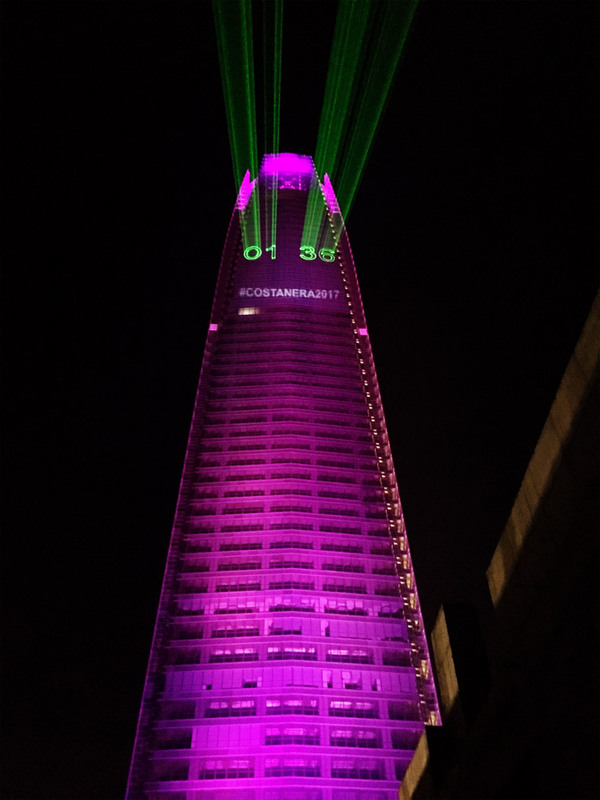 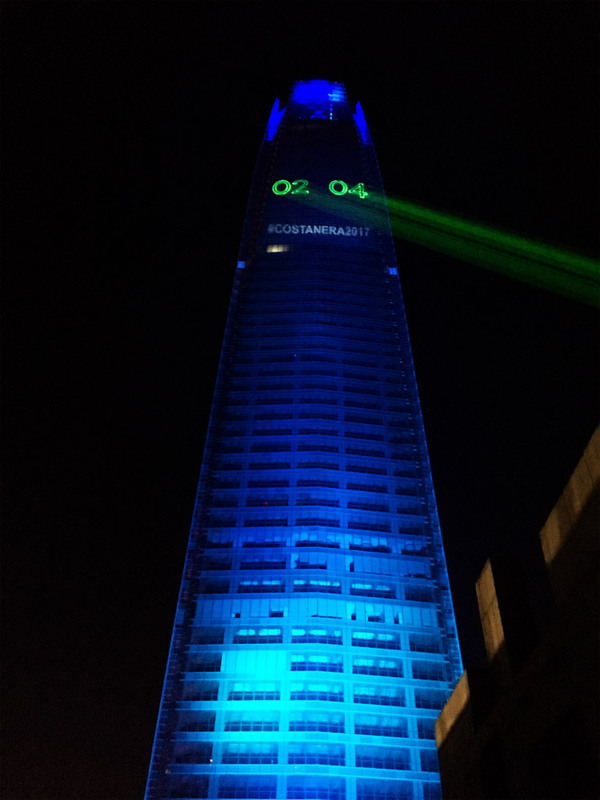 Member of the Laserworld Group, tarm laser technologies, was responsible for a huge laser countdown on New Year's Eve in Providencia, Chile, near the capital Santiago de Chile. 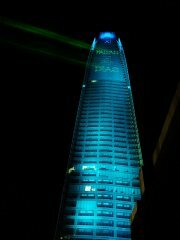 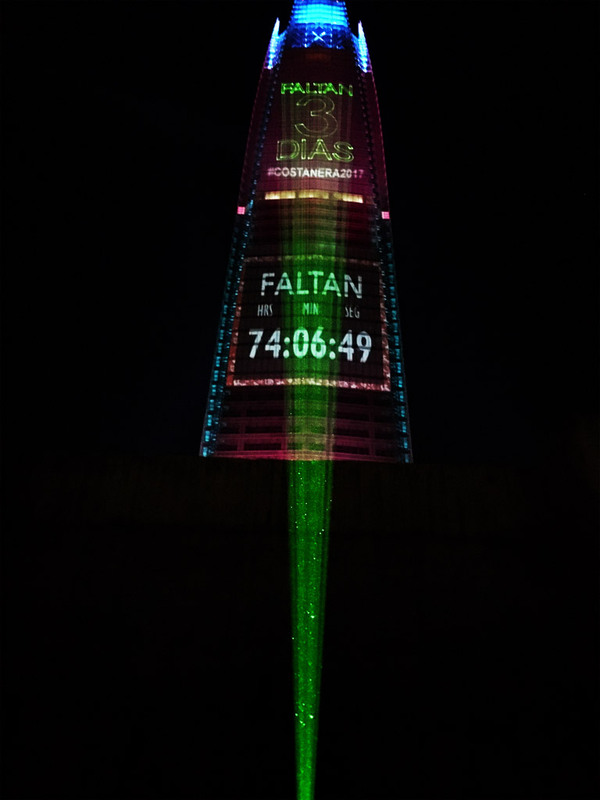 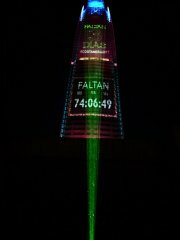 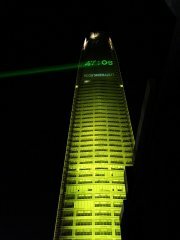 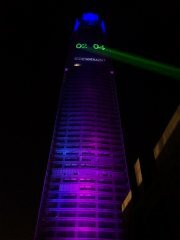 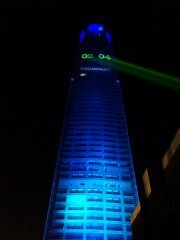 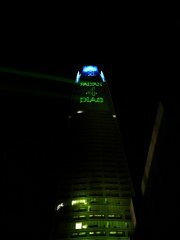 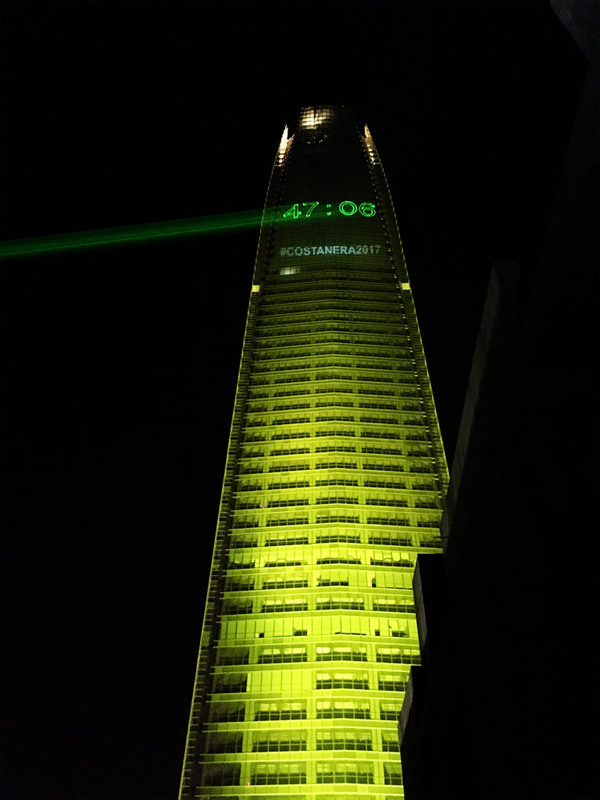 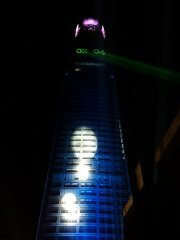 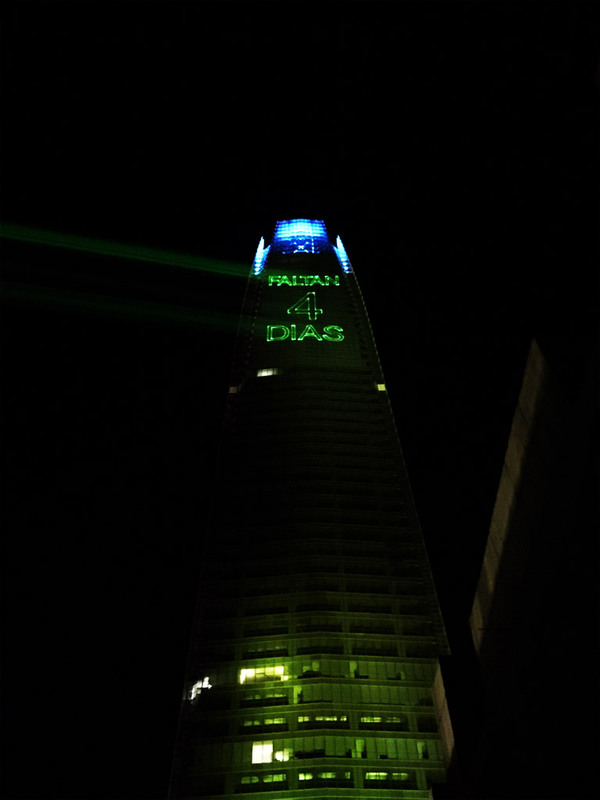 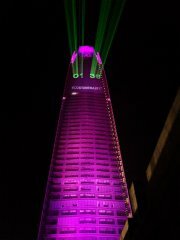 The countdown was projected on the largest tower of South America, the Gran Torre Santiago (300 m) and could be seen from several miles away. 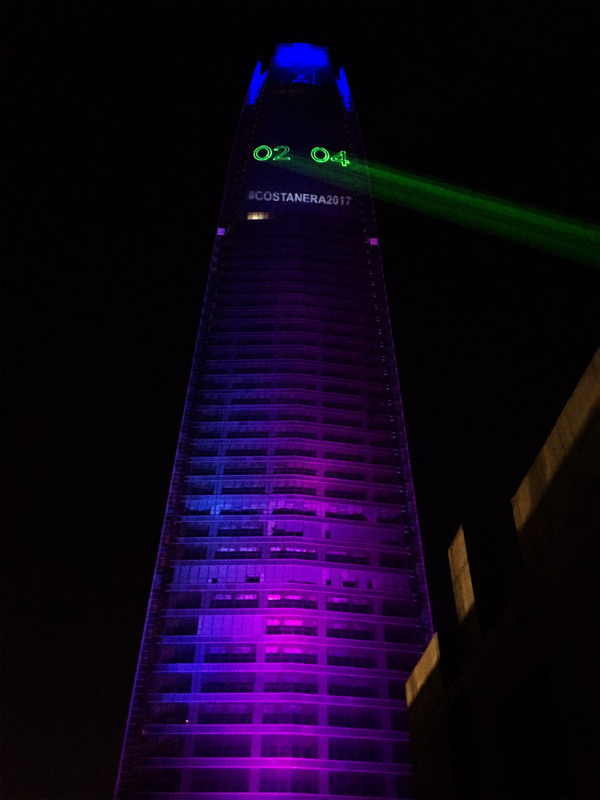 tarm used two tarm HD show laser lights with 5 W laser power each that were placed on a height of 25 m and 100 m away of the tower. 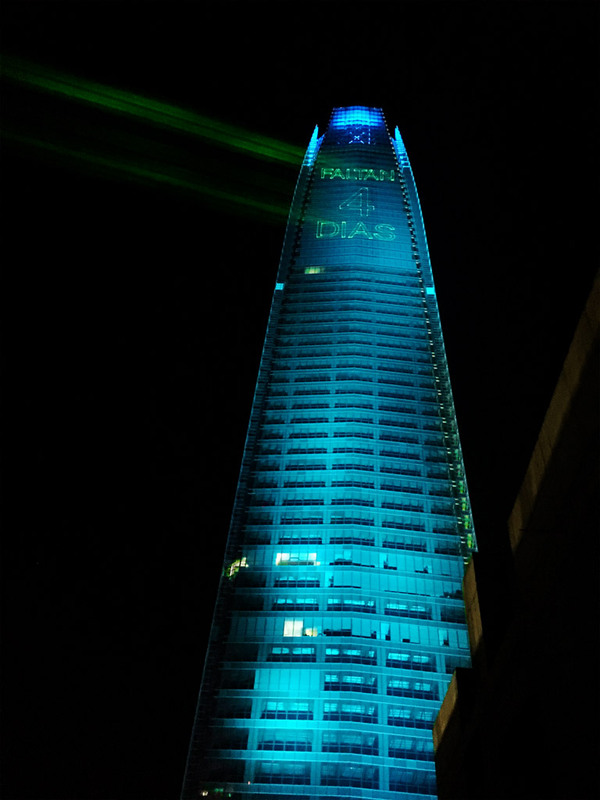 Our thanks go to Richard Krumhus from tarm for providing the pictures!